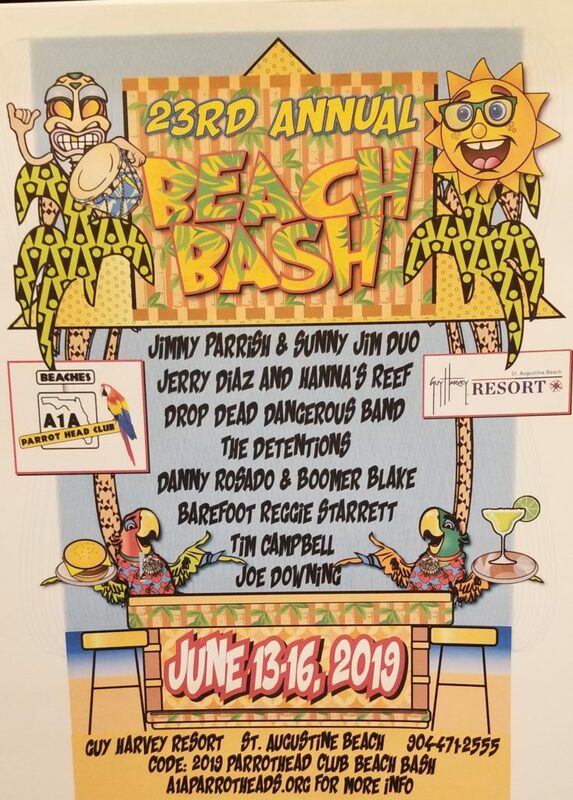 Make your hotel reservation and then complete the Beach Bash event registration form and mail that to us at the address listed on the form. You may send your check with your registration form, or you may pay using PayPal and then send or deliver the registration form to us. Or you may take care of the registration form and fee at one of our monthly Phlockings at Monkey’s Uncle Tavern in Jax Beach (See Rae). $77.25 by PayPal, OR $75 by cash or check: before May 1, 2019. Then increases to $88.50 by PayPal, OR $85 by cash or check. and partially remodeled rooms are $109. If you would like to help with raising funds for the Alzheimer’s Association by sponsoring this event, here is the link to the Corporate and Individual Sponsor form. They may be returned to our Treasurer, Rae Chung, at any Mid-month Social or Phlocking, or mailed to the club’s P.O. Box.